Frequently Asked Florida Law Questions | DeLoach, Hofstra & Cavonis, P.A. What is a fiduciary? Who should act as my fiduciary? When you are planning for your death and incapacity, one of the first questions is who would be your fiduciary? Your fiduciary is one of the key decision-makers in any estate plan, and the potential roles include your successor trustee, personal representative (i.e. your executor), your attorney-in-fact (your power of attorney) and your designation of health care surrogate. A fiduciary is a trusted person or institution that can act for you upon your death or incapacity. A fiduciary is held to the highest standard of trust in the legal world. For estate planning purposes, your fiduciary roles can be separated out in three different ways. First, you need a fiduciary to handle your affairs upon your death, who would be a successor trustee and personal representative. Second, you need an attorney-in-fact to handle your financial and legal affairs if you become incapacitated. Finally, you will need a health care decision maker if you are unable to handle your medical decisions. Often, the same person can serve in all of these roles. Who should act as my fiduciary? First, you must trust the person you name in any role. There is no better way to create problems in your estate plan than to name an untrustworthy person. After that, the person you name should be able to act if needed. Someone who lives out of state, for instance, may not be a great choice if you have a trusted local person. Finally, you must trust this person’s ability to run your affairs. The person you name should have the financial and emotional ability to handle difficult situations in being your advocate. What if I do not have any children or family? While most people look to family fiduciaries, this is not possible for everyone for a variety of reasons. If you do not have a trusted family member who is able and willing to assist you, some estate planning attorneys serve as fiduciaries. If your estate planning attorney will not do this for you, he or she may know professional guardians and banks who could help you in the event of your death or incapacity. As an elder law attorney, our law firm serves in this role for some clients. What Are Some Pet Laws in Pinellas County? What does the law say about the transportation of my pet? Most people don’t know this, but your pet must be safely enclosed in the vehicle or protected by a container, cage, cross tether, or another device, which would prevent the animal from falling, being thrown, or jumping out of the motor vehicle in Pinellas County. Is it illegal to leave my pet in the car? When the temperature outside reaches 85 degrees Fahrenheit, the temperature inside a car can climb to 120 degrees in just 30 minutes, so leaving pets unattended in cars on warm days, even for a short time, can cause irreversible organ damage or even death, according to the Humane Society of the United States. In Pinellas County, an animal cannot be confined or remain unattended in a vehicle in conditions that would endanger the well-being of the animal due to lack of ventilation or water, heat, or any other condition that pain and suffering, disability, or death to the animal is expected to occur. 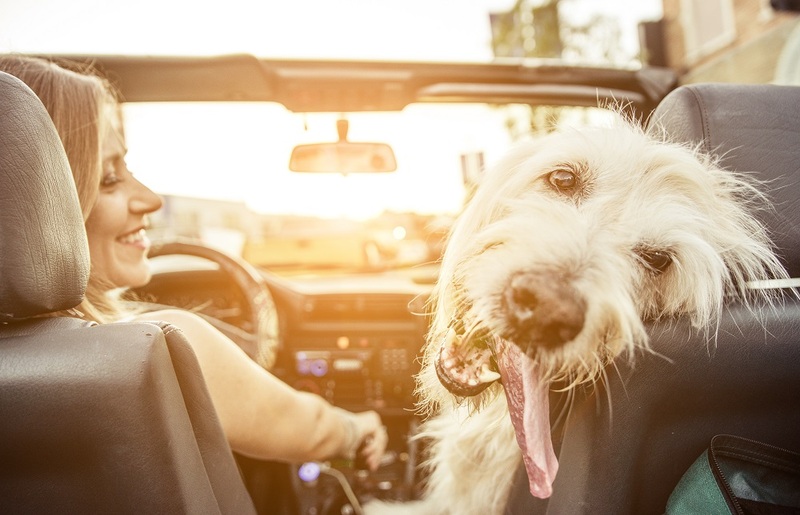 If I can’t leave my pet in the car, can I restrain it outside? No, in Pinellas County, it is unlawful for a person to tether, fasten, chain, tie, or restrain a dog or cat to any stationary object, unless it is within the visual range of the owner. Is there a leash law in Pinellas County? For more information on pet laws, visit the Pinellas County Animal Services website. 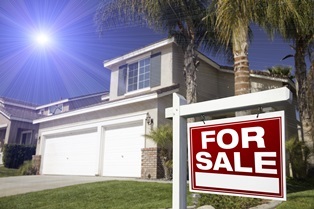 A short sale offers a way for a seller and a mortgage lender to avoid foreclosing on a home. Essentially, the lender agrees to accept less than the full outstanding mortgage price of the house, usually because the seller can't pay or owes more on the home than it's worth. The lender would rather recoup some of its money through a short sale to another buyer than undergoing the expense of repossessing the home in foreclosure. Before the seller can list a house at less than the amount required to pay off the mortgage, the seller must obtain the lender’s permission. If the property is approved for short sale, the buyer will negotiate a price with the seller before taking that price to the lender. However, the lender isn't required to accept any offer it believes is too low, even if the seller has accepted it. The first thing to know about short sales is that buyers aren't getting a “discount” on the property. 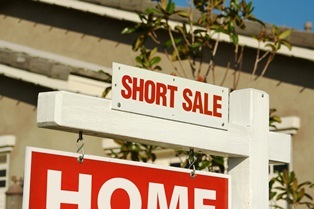 Lenders won't approve a short sale purchase if the lowered price is below market value for the home. Mortgage lenders will consider the comparative market analysis (CMA) carefully to know exactly what the property is worth, and won't hesitate to take the property to foreclosure if it believes it can get a higher price. Perform a public records search. If you want your purchase price offer to be accepted, the offer needs to be reasonable to the lender. A search of the public records reveals who holds title to the property (there may be more than one holder); how much is owed to the lender; and whether a foreclosure notice has been filed—all of which can help determine the amount of your offer. Do your due diligence. Just because buyers aren’t paying the price the seller paid doesn't mean the home is a bargain. There may be a variety of problems with the property, especially if it's sat vacant for some time. Unfortunately, short sales typically sell “as is,” so the lender may not be required to issue a disclosure statement outlining any known problems with the home. Buyers should extra careful during the home inspection process, especially when it comes to looking for roof defects, mold, or termite damage. If the property had renovations, make sure the necessary approvals and permits for the work are on file so the city doesn't take action against you when you're the new owner. If a problem is identified, get an accurate repair estimate—and be honest about your budget so you know when to walk away. See if there are multiple lenders. In some cases, the seller may have more than one loan securing the property. Instead of splitting your offer, mortgage lenders often require full payment of their own debt before the next mortgage can be considered. If your offer pays off the primary lender but leaves only a small amount for the second, the second lender may not agree to the transaction. Anticipate higher closing costs. While many buyers and sellers compromise on the costs they assume at closing, lenders usually refuse to pay any additional closing fees. This includes pest inspections, transfer taxes, repairs identified during home inspection, and other costs that buyers may have to pay out-of-pocket. Plan for closing delays. Everything in a short sale process must be approved by the lender, which can be a long and frustrating process. It takes several weeks or even months just to get a lender’s response on a purchase offer. If you're buying a home at the same time you're selling your current residence, it may be difficult to coordinate the dates, leaving you to assume the costs of temporary residence until you close escrow. Remember, in a short sale, agents and lenders are the only ones who stand to make money from the transaction. A real estate attorney with experience in short sales can anticipate problems before the offer stage, working to secure a home that's within budget and aligns with your best interests. If you have questions about your home purchase, fill out the short contact form on this page to set up a consultation. Many first-time homebuyers are shocked by the amount of additional costs involved in purchasing a house. Inspections, insurance, closing costs, fees, and taxes can quickly add thousands to the price of the home. If you're not paying at least 20 percent down, you'll likely have the additional expense of private mortgage insurance (PMI). Our attorneys explore this unique form of insurance and offer tips for homebuyers to reduce or eliminate PMI quickly. Lenders require homebuyers to purchase PMI when their down payments are less than 20 percent of the value of the home. The evaluation of PMI is usually between .03 percent and 1.5 percent, based on the appraised value of the home, your credit score, and the amount of the down payment. The good news is that PMI is only required until you have gained a certain amount of equity in your home. The bad news is that PMI is an extra expense that does nothing to protect you from foreclosure. Unlike other forms of insurance you buy, PMI doesn't protect you—it protects your bank and lender if you become unable to pay the mortgage. If you had a low down payment on a conventional loan and default on the loan after just a few years, the bank will likely lose money when it repossesses and re-sells your house. However, buyers who put down 20 percent or more own a significant portion of the property before they've even moved in, making them less of a credit risk. Payment options. The most common way to pay for PMI is by adding the premium to your monthly mortgage payment, but some lenders offer a one-time lump-sum premium paid at closing. Your lender may also offer a combination of both. Automatic removal. Lenders are usually required to remove PMI automatically from the mortgage payment once the buyer has paid the loan balance down to 78 percent of the initial value. However, you may want to double-check the lender’s policy and establish the earliest possible time you qualify to have PMI removed. In most cases, buyers can request that PMI is removed when they have paid 80 percent of the home’s value. Other options. Borrowers making a low down payment may have other options besides a conventional home loan. Many lenders offer specialized loans, such as an FHA or one tailored for purchasing property in an underdeveloped area. If you qualify for these alternatives, it's worth crunching the numbers to see how these types of loans compare to a conventional loan with PMI. A loan without PMI at a higher interest rate may not save you much money over a conventional option. The only benefit homeowners get from PMI is the ability to secure a loan to buy the house. Since you'll be paying for something every month that doesn’t help you at all, you should keep a close eye on your mortgage balance and have PMI removed as soon as you can. For example, let's say the appraised value/purchase price of your home is $300,000. You put five percent down, or $15,000, and the bank issues you a loan for $285,000. You make mortgage and interest payments every month, plus the additional amount for PMI. When your mortgage balance reaches $234,000, you've reached the 78 percent value threshold, and the lender will drop the PMI automatically. On the other hand, you could call or write your bank when your mortgage balance reaches $240,000, or 80 percent of the home’s value, and request removal of the PMI. It may not seem like two percent makes much of a difference, but in this case it means you could save hundreds in PMI premiums. Buying a home is one of the biggest financial transactions you will make, and a Florida real estate attorney can protect you both legally and financially throughout the process. If you have questions about buying or selling real estate, please fill out our quick our contact form so you can move forward with peace of mind. Do I Need a Real Estate Attorney When Buying or Selling Property? Does Florida Have Laws That Protect Squatters' Rights? Should I hire a real estate salesperson or listing agent to sell my home? It can be difficult to say whether homeowners need a listing agent to sell their properties. While Florida law doesn't require property owners to engage the services of a real estate agent to complete the sale of a home, listing agents offer a significant advantage depending on the location and condition of the property. Although you may legally sell your home, there's a lot of work involved, and no guarantee you'll be able to get the best price. Real estate agents may charge hefty commissions, but since they're paid with a percentage of the sale price, it's in their best interest to help you get as much as possible for the property. Knowledge. You know what you originally paid, and you know your improvement costs, but only a real estate professional will know the market value of your home. An unrealistically high asking price may leave your home unsold for months, while underpricing your home can deprive you decades’ worth of assets. A real estate agent can calculate your home’s value and current market trends, and price according to competing listings in your neighborhood. When it comes time to sell, the agent will be responsible for drafting all transfer documents in accordance with Florida laws. Marketing plan. While some properties may sell with little marketing, others need a more strategic approach to attract buyers. This includes reaching out to potential buyers through media they are likely to use. Younger families often find starter homes using apps and internet searches, while some buyers rely on newspaper listings. An agent should be willing to take high-quality photos or video walkthroughs for the listing, as well as write a detailed summary of the property that sparks buyers' interest. Time and effort. Listing agents are responsible for making your home look attractive to buyers, including staging the property to show its potential and showing the house to prospects. The agent also chooses which prospects to allow to tour the property—such as those who already have loan offers in place—ensuring you only have serious buyers visiting your home. Negotiation skills. A good real estate agent is familiar with tiny details that make a big difference when negotiating price. As your agent, he or she knows when it's cheaper to make repairs to a defect or adjust the asking price, and will work to ensure the maximum amount of profit for you. There are numerous differences between real estate lawyers and agents, and many people choose to involve both in the process. However, there are many instances where legal protection is a major benefit to sellers. For example, selling a home with known defects in “as is” condition can open a seller up to potential legal action in the future. Some people get into the later stages of a sale before discovering there's an encumbrance on the home. This additional financial burden may stall or sink the transaction. Even if you love your real estate broker, he or she isn't an attorney. In fact, real estate agents aren't even permitted to answer legal questions posed by their clients—which is extremely problematic given how often legal questions arise during a sale. 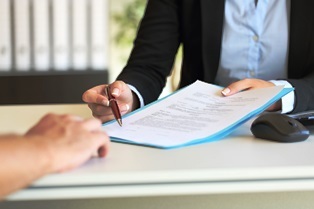 In addition, while real estate agents can draft sales documents that are legally binding, they aren't necessarily structured to give the seller legal protection. Only a real estate attorney can protect you both legally and financially throughout the process. 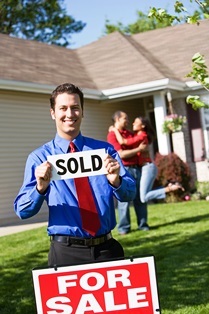 Selling a home is one of the biggest financial transactions you will make. 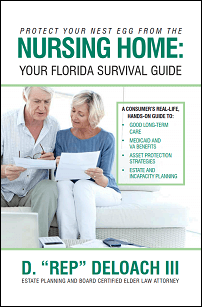 We make the process easier for you by offering guidance in our free book, Top 7 Tips for Selling Your Florida Home. Order your copy today! If you have further questions or concerns, please complete our contact form so you can move forward with peace of mind. What does a designation of Health Care Surrogate do for a Minor? Jill and her stepson, Jack, are involved in a car accident on the way to school. Jack is rushed to the hospital, but Jill cannot get any information regarding Jack’s condition or his treatment. This is because Jill, as a stepmother, has no legal authority until all persons who have priority under Florida law are reached. A HCS can also be helpful when parents go out of town, leaving their child in the care of a third party, or a child travels without his/her parents, such as for summer camp or extracurricular activities. When completing a HCS, a legal professional can help ensure everything is done in a correct and legally effective manner. For more information, please call me. You have a lot of options when choosing a representative for your real estate transaction. Florida law doesn't require an attorney to be present when buying or selling a home, and you may legally perform the transaction without involving a real estate agent. If you want to have someone represent your interests, you don’t even have to choose between hiring a real estate agent or hiring an attorney—you can have both on your side. However, there are key differences between real estate lawyers and agents, and these can have a huge impact on the condition and value of your purchase. However, buyers’ and sellers’ agents aren't lawyers, and cannot provide any legal advice during a real estate transaction. Answer your questions. Every real estate transaction involves an overwhelming amount of complex legal documents that must be read and understood before signing. We can explain the legal terms and technical language used in the purchase contract, mortgage, and any other transaction documents, allowing you to sign with peace of mind. In addition, we review all documents and correct any ambiguous language before you sign them, reducing the chances of a problem after the transaction is complete. Offer advice. A real estate attorney may have been hired for your purchase, but he or she can advise you on just about any legal issue. 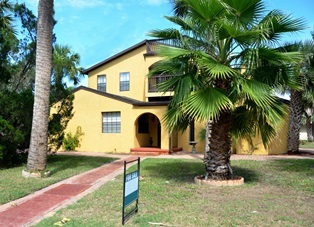 For example, there's more than one way to hold title to residential real estate in Florida. An attorney can tell you whether you would benefit more by holding title as sole ownership or joint tenancy, including how each affects taxes and inheritance after the life of the homeowner. Explain your options. Each decision you make throughout the buying or selling process has the potential for you to gain or lose a significant amount of money. If you have offers from a variety of lenders but aren’t sure which to accept, your attorney can compare the offers to find out which one best suits your needs. If you decide against the purchase completely, an attorney can examine the terms under which your deposit is forfeited and get your money back from the seller. Protect you at closing. Buyers and sellers may get all the way to closing without an attorney, then enlist the help of a lawyer to review closing paperwork before they sign. The fees that a real estate lawyer charges for a document review are often a fraction of the cost of the potential problems they identify and solve before the transaction is complete. Take over from an estate agent. Many real estate transactions that begin with the help of an agent end with a lawyer being called in when legal issues arise. An agent could lose his real estate license by answering a legal question for a buyer or seller—even if he knows the right answer. Given these limitations, a real estate attorney is in a better position to protect all of your interests throughout the buying process. If you experience or anticipate any legal problems with your home purchase, only a qualified real estate lawyer can give you the answers you need. Our attorneys provide as much or as little legal assistance as clients' need, allowing them to complete their sale or purchase with confidence. Simply fill out the quick contact form on this page to set up a consultation with one of our real estate attorneys. When are housing associations allowed to take action against a resident? A homeowners' community association (HOA) has the right to levy fines against a member who commits a violation of the governing agreement. Examples might be failure to comply with aesthetic regulations, or failure to pay for agreed-upon services. However, Florida homeowners’ association laws set statues about the type of action and amount of fines that can be levied against a community member. A refusal to comply with governing documents of the community or the rules of the association is grounds for action by the association, or a member against another member. The other member must own a parcel within the community, or be a member’s tenants or guests who use the common areas. Fines. An association is allowed to charge reasonable fines of up to $100 per violation against a member—or any member’s tenant, guest, or invitee—for the violation of provisions in the association bylaws or regulations in the governing documents. Fines may continue to be levied by the board for each day that the violation continues, as long as the total assessed for the violation doesn't exceed $1,000. Use of common areas. If a member hasn't paid a fee, fine, or other monetary obligation to the association within 90 days of assessment, the association may suspend the member or guest’s right to visit common areas or use facilities until the fee is paid in full. Voting rights. The HOA may suspend the voting rights of a member who hasn't paid fees or fines that are over 90 days delinquent. A suspended member won't have the right to participate in voting during an election to the board, approve an action, or form a quorum until he or she has remitted full payment of all financial obligations due to the association. Liens. A housing association typically has a right of lien on each parcel within the property to secure the payment of fines and assessments. 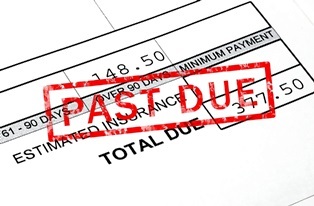 Associations cannot file a claim of lien for fines or outstanding debts of less than $1,000. Once the claim is filed, the lien may be used to secure any unpaid assessments as well as interest, late charges, and reasonable costs incurred in the collection process. 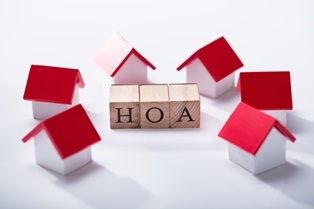 Before an HOA can file a record of lien, it must provide the parcel owner with a written demand that totals the amount of past due assessments; the reason for the assessments; and notify the owner of intent to assert a claim of lien. The notice must be mailed or handed to the owner at least 45 days before the lien may be foreclosed to allow the owner an opportunity to make payment for all amounts due. Failing to provide notice. In most cases, a member cannot be assessed a fine or denied rights unless he or she was given at least 14 days’ notice to address and correct the problem. Failing to convene a hearing. Florida law requires members to have an opportunity for a hearing before a committee of at least three impartial members of the HOA board. If the majority of the committee doesn't approve a proposed fine or suspension, it may not be imposed on the member. Imposing or enforcing the fine. If a member takes the HOA to court over a fine or lien and prevails, the member is entitled to recover court costs, reasonable attorney fees, and other litigation expenses from the association. If you're involved in a dispute between a homeowners' association and a member, please give us a call today. Our attorneys have over 30 years of experience representing homeowners and their associations through all aspect of their business operations. Simply fill out the quick contact form on this page to set up a consultation. A community association does much more for homeowners than perform lawn maintenance and collect rent checks. Members of associations governing condominiums, neighborhoods, cooperatives, or other communities have a number of fiduciary duties and responsibilities set forth by the law. No matter what kind of community association you belong to, you should have qualified legal counsel to represent your interests. A homeowners’ association allows members to take an active role in maintaining a high standard for the community. Associations are required to comply with construction standards and laws governing the soundness of the buildings and structures in the community, thus ensuring the safety of owners and children who live on the property. 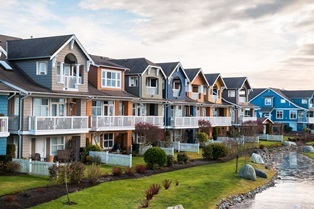 In addition to taking part in the community development process, associations must set forth the governing principles of the community and clearly outline the duties of both the association and the homeowner. Document drafting. Your association is built on the enforceability of its contracts, and we ensure that all documentation is legally sound and drafted in a language that leaves little room for interpretation to minimize potential problems. Our attorneys take a personal approach to the creation of association rules and bylaws, allowing clients to implement regulations and restrictions that establish the character of the community without encroaching on the legal rights of the owners. Assessment collection. If an owner fails to make payment, an association has to enforce its rights to impose fines carefully in order to avoid liability for legal action. Under Florida law, there are specific procedures that must be followed before an association can take action against a homeowner. An attorney can guide the association through this process without exposing the association to litigation. Statutory interpretation. Association statutes and bylaws that were created decades ago may contain vague or ambiguous language, making it difficult to know when and how they can be enforced. Our attorneys can help interpret the language in governing documents to help each party understand its rights, as well as prepare amendments to governing documents to avoid future confusion. Protection and enforcement. Some associations may require occasional legal advice for disputes, while others rely regularly on counsel for day-to-day operations. Our law firm provides as much assistance as each client requires, advising association members on the use of their enforcement options—including fines, evictions, and suspension of voting rights; reviewing governing documents and articles of incorporation for potential errors or liability; or preparing to resolve a matter in court. We also take over the responsibility of informing owners of alleged violations, requesting payment or response from an owner who has committed a violation, and assume the duty of securing the owner’s corrective action. Dispute resolution. As the trusted legal representation for nearly 100 different homeowners' associations, we know that it's not always possible to avoid disputes among association members. Our attorneys work to resolve these conflicts with a minimum of interruption in the community while ensuring that the association’s guiding principles are respected. Litigation and mediation. If a conflict arises and an owner is threatening legal action, our attorneys can step in to provide mediation and arbitration services to avoid the necessity of going to court. If an owner has already filed a lawsuit against the association, our law firm can aggressively represent the association during settlement negotiations and in the courtroom. If you belong to a homeowner's association or a condominium association and have questions about contracts, association by-laws, or compliance issues, please give us a call today. Our attorneys have over 30 years of experience representing homeowners and their associations through all aspects of their business operations. Simply fill out the quick contact form on this page to set up a consultation.